So as a project for the summer holidays I decided I’d build a 3 axis CNC machine for the primary purpose of milling PCBs and clear acrylic. After researching multiple different options I thought I had settled on building a Shapeoko, running out of funds for the Shapeoko Mechanical kit I am still contemplating what my options are. 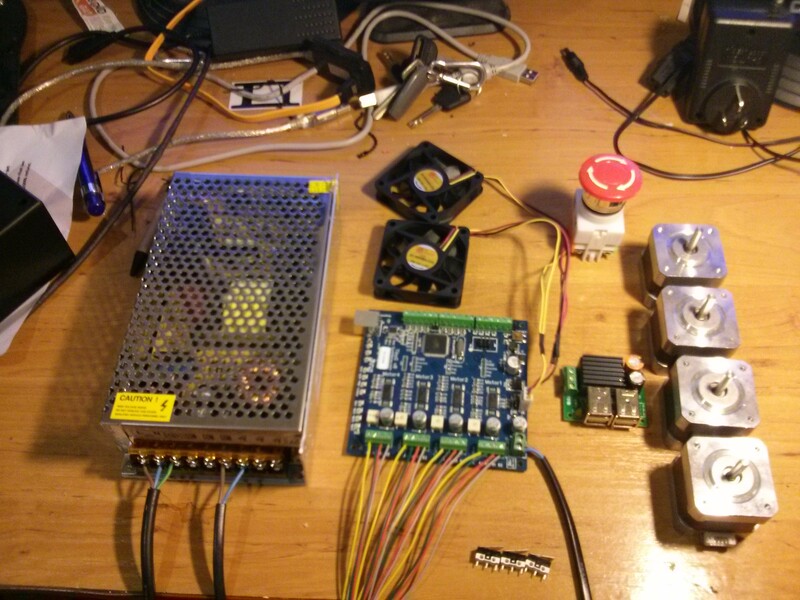 All to be controlled with a raspberry pi. and then to move the motors I sent the following Gcode. which should make all the motors move clockwise. Changing the value following the x,y,z or a axes in that string will move the motor to that position which at this point in time has little meaning. 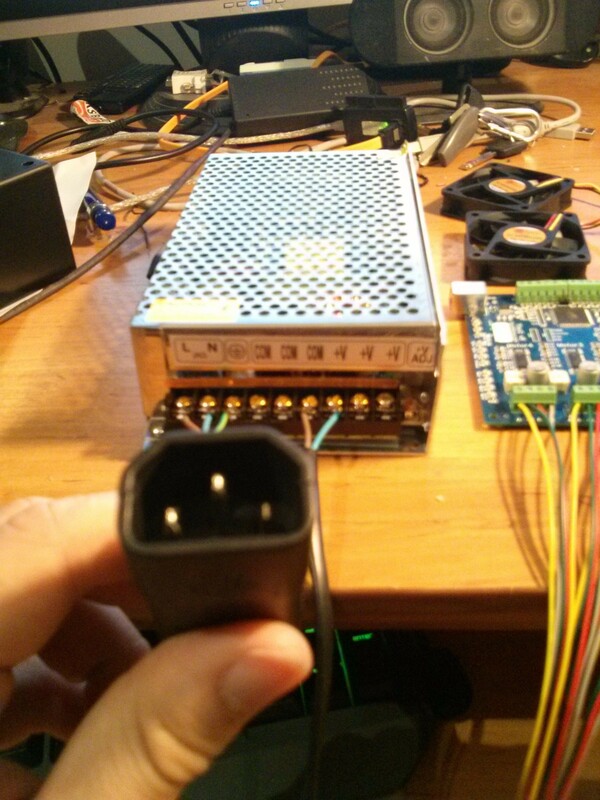 The power supply didn’t come with any wiring so to make do I connected a female IEC plug and can be powered up by a standard 240v computer IEC cable. When I eventually complete this project I intend to house all the electronics in a box and so I may retain this connector or move to a mounted one such as this one from DX.com. The above parts will be able to be made into a custom cnc machine or a shapeoko. I’m currently waiting to hear from a friend who is undertaking a similar project but building the machine frame from scratch. Once I can compare his estimated price with the price of a Shapeoko Mechanical kit + $90 Shipping to Australia I will weigh up the pros & cons. Until then….